The Swedish music-streaming service is attracting paying users at a slower rate, and plans to increase spending on tech and tools for artists. Both trends will forestall its efforts to move into the black. Jumpy tech investors hardly need much of a reason to sell. 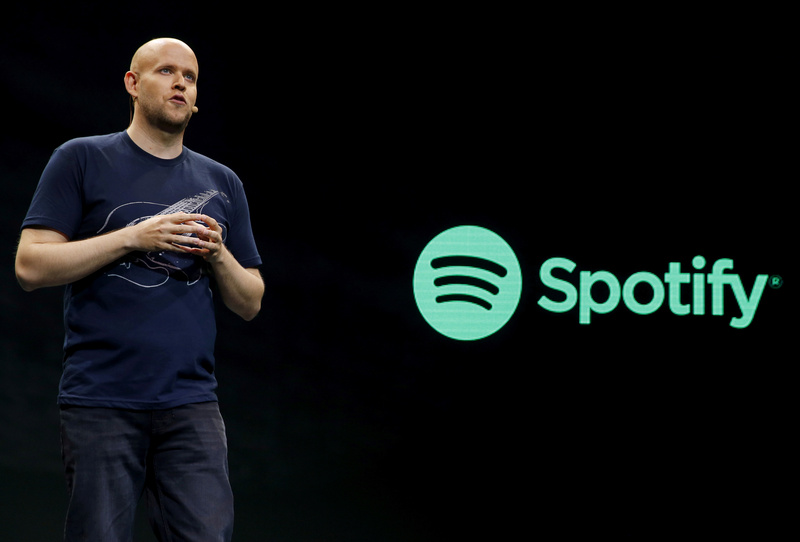 Spotify CEO Daniel Ek speaks during a media event in New York, U.S., May 20, 2015. Swedish music-streaming service Spotify on Nov. 1 said revenue was just under 1.4 billion euros in the three months to the end of September, up 31 percent from the same period a year earlier. The company had 87 million paying subscribers at the end of the quarter, 5 percent more than at the end of June. In the second quarter, the equivalent growth rate was 10 percent. Spotify expects to have between 93 million and 96 million paying users in the fourth quarter, compared with a previous range of between 93 million and 97 million. The New York-listed company’s gross margin of 25.3 percent down slightly from 25.8 percent in the second quarter, but up from 22.3 percent a year earlier. Spotify’s operating loss declined to 6 million euros from 73 million euros in the third quarter of 2017. Founder and Chief Executive Daniel Ek put the better operating margin down to less staff hiring. But he said higher investments in research and development and music content would reduce operating margins for the foreseeable future. Shares were down nearly 7 percent at $139.51 at 1437 GMT.